Positive preparation they say prevents poor performance. The U.S. Open is gradually drawing closer and you cannot talk about tennis without talking about the American professional tennis player, Serena Williams, and how she is preparing towards the championship. For Serena, precise timing is a big deal to her. “Time is so important to me and I never really thought about it until now. “Exactly 30 minutes before my match, I will like to talk to my coach. “Exactly 15 minutes before the match-on the-dot, I like to warm up. Then I like to be 2 minutes later after a warm up so I can take that time for myself. “I have exact times for practice and I eat lunch at exactly the same time”. It is obvious from the above that Serena has exact routines. She does a lot of stretching by riding a bike for exactly eight minutes after a match. Serena is so time-conscious that she believes every minute counts in winning a match. Talking about her preparation for the U.S. Open, it is obvious she is making profitable use of her time. But as life seems unpredictable, certain circumstances present obstacles to success. 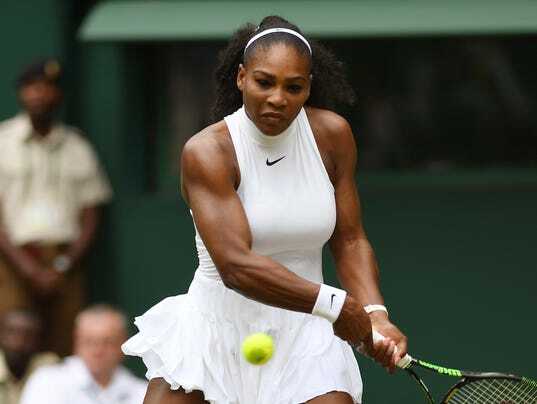 One of such is Serena’s dad, Richard Williams’ stroke which occurred just some days before her victory at Wimbledon. One can imagine how she would be taking her dad’s stroke as she gets set to compete at the U.S. Open. Although Richard Williams is recovering, his wife Lakeisha Williams says, “He’s up and walking around but he’s not at 100 percent. “He needs speech therapy, psychological therapy and physical therapy but for now he refused,” she has said. Winning the U.S. Open would not be a walk in the park for Serena. Angeline Kerber, Garbine Muguruza, Agnieszka Radwanskwa and Simona Halep will provide stiff opposition. Also, Victoria Azarenka, Alberta Vinci, Carla-Suarez Navaro ad Svetlana-Kuznetsora could ambush that ambition. If there is any thought that her father’s ongoing stroke-recovery could hinder her mental preparation, her timely preparation and determination would be two allies she would take into battle to overcome all her opponents and rule as Queen Serena at the US Open. Still, her recent shoulder inflammation injury may yet be her toughest opponent, and might upset her applecart.